Ever wonder how an influencer works and how they can affect purchase decisions? How about where to find these influencers, or to even become one? Today's guest has been at the forefront of harnessing the power of the international bloggers and digital influencers since 2010 and she's here to talk about influencer marketing! 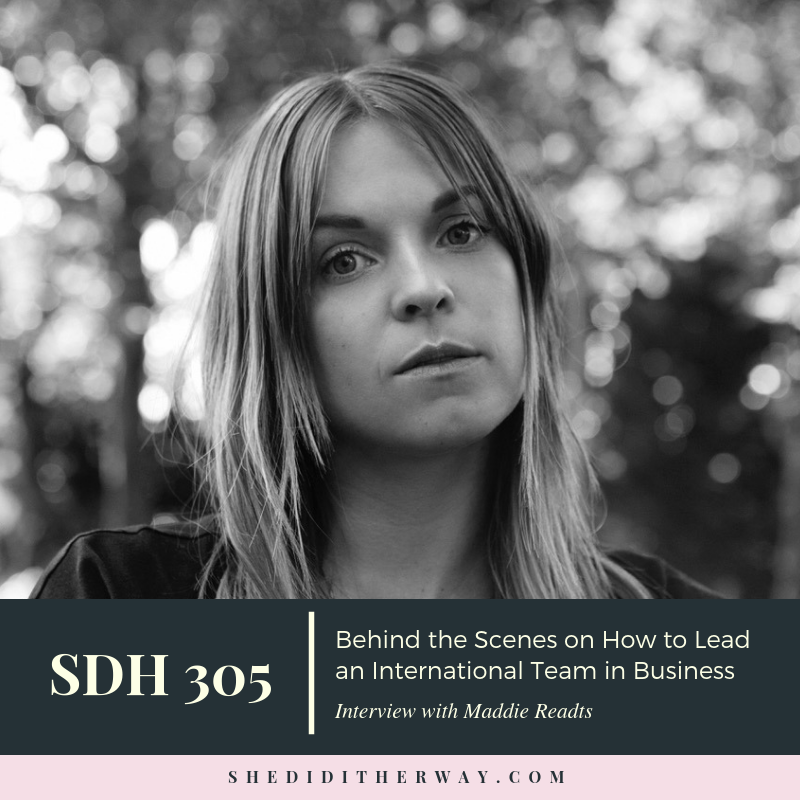 Maddie Raedts, Founder & Chief Creative Officer at IMA, is responsible for advising clients on strategy when working with influencers & talent, while always keeping the match of influencers and aesthetic quality of creative in mind. Throughout her career, she has secured many partnerships and developed concepts for leading brands including Tommy Hilfiger, Calvin Klein, Samsung, TomTom, and Farfetch. Maddie was featured on Forbes’ 2017 30under30 Europe: Media list, alongside fellow IMA co-founder Emilie Tabor! Today, she leads a young, international team of 85+ people who are responsible for the way brands work with influencers across the globe. Get to know her strategy on how to stay focused and more! "The whole entrepreneurship experience in itself has so much to learn. I am still learning today and as we go forward because I think that's something we can't learn from school." "Running the business and managing people, that is most of the learning I went through.... and I'm still going through. It's not something you can do right at once." "Just do it, trial and error, learning by doing."